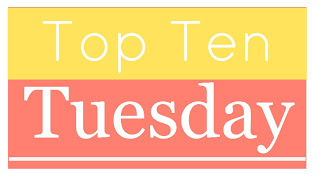 Top Ten Tuesday is a weekly feature hosted by That Artsy Reader Girl. Each week a new Top Ten list will be posted. Everyone is welcome to join. 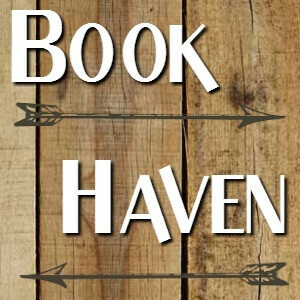 Link back to The Broke and the Bookish so everyone can check out other bloggers' lists. It's a fun way to get to know fellow bloggers. This week is the Top Ten Winter 2018 TBR. The books I am most anxious to read over the winter. Some of these are new releases, and some are books I just haven't gotten to yet, but all are high on my list of must- reads. So let's take a look! I recently saw someone on booktube mention "Watching You." I don't know anything (or more accurately remember anything) about it, but it looks interesting. Also, I sill NEED to try Jenna's books. They look adorable. I loved Love and Gelato! 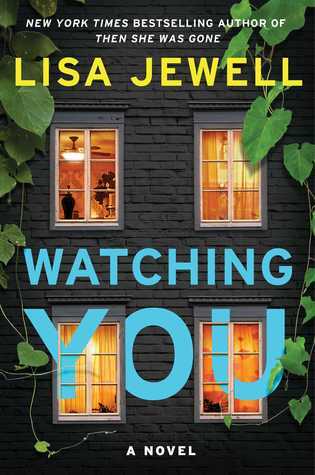 And yes Watching You looks so good- I've liked that author's previous books so I'm pretty sure I'll like this too! I do too, I've been meaning to for forever!! Great list. I've been eyeing the Loneliest Girl in the Universe for a while. Me too- I just need to get to it. 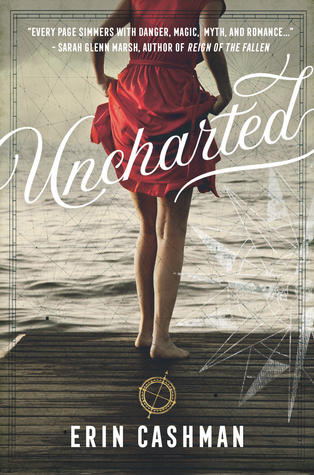 I really want to read Uncharted and I also need to try a Kelley Armstrong book! I hope you end up having a lot of fun reading all of these books! Thanks Jen! I highly recommend the Rockton books by Armstrong- they're so good! I remember the movie Watcher in the Woods from a LONG time ago. Very creepy. I watched it a few years ago and it was still creepy. Probably different than the book though. I've never seen it, but this one is in the Rockton series and I have high hopes! The Loneliest Girl in the Universe has been on my radar for a while now so I hope you enjoy it! Also keen to read Love & Luck one day! I really liked Love & Gelato so Love and Luck will probably me up my alley too- I just need to get to it! And I agree about Loneliest Girl! How badass does the cover for Polaris Rising look!? Nine Perfect Strangers AND Two Can Keep a Secret are both on my list this week too!!!! And I should've put The Lonliest Girl in the Universe because I totally need to read that one too-- and Watching You!! That one is calling me because my mood-reading mood has been Adult Thrillers. I've been reading a ton of thrillers so same with Watching You. I'm hoping it's really good!!! And I'm pretty excited about Two Can Keep A Secret as well. Watching You might well be going onto my wish list. I've been looking at that over the last couple of weeks. I keep seeing it too! Ooh nice! 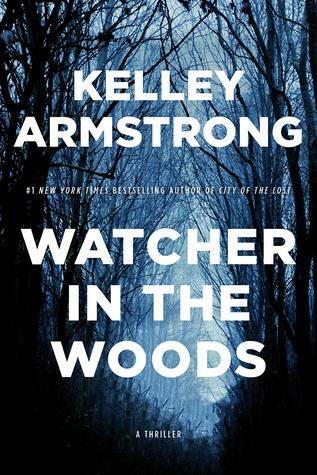 I can't wait to read Watcher in the Woods! Love Kelley's books! Me too, love that series and can't wait for that one. Great list! Two Can Keep a Secret and Love & Luck are two that I'm very interested in reading at some point. I really want to read Polaris Rising! That is one of my top anticipated books! I've heard so many good things about The Loneliest Girl in the Universe. It's still on my TBR. I hope you like it. Same here- I'm really hoping it turns out good! An interesting variety you're hoping to get to... I hope you're able to enjoy all of these this winter. Happy reading! So now I'll be singing the Pretty Little Liars theme all day. I'm super interested in Lies You Never Told Me and I'm seeing Nine Perfect Strangers EVERYWHERE! Ha ha right! I need BOTH of those books! Liane Moriarty is a name I see soooo often and I even know I have some of her books on my owned TBR? Still haven't read any of her work though. Let's hope 2019 will change that! Haha hope so! I still think Big Little Lies is my favorite of hers (of the ones I've read). I really enjoyed Watching You. Nine Perfect Strangers was a little meh for. Hope you enjoy all of these! Ooh you've read Watching You? I'm glad to hear it was good! Polaris Rising isn't on my list, but it's a given that I'm excited for it. Great list! I still have yet to read a Lisa Jewell book! I need to. I hope you enjoy Love and luck as much as I did and I look forward to your thoughts on Nine Perfect Strangers. I'm really curious about Nine because I've seen good things and meh things. And Lisa Jewell is almost an auto buy for me at this point but Girls in the Garden is my fave of hers so far. I really want to read Watching You - it sounds amazing. And I'm super curious about Nine Perfect Strangers. Same here- and Watching You is one of the ones I'm most hopeful for!! Ooh, I've heard about The Loneliest Girl in the Universe- hope you enjoy it! I have Jenna Evans Welch on my list too but Love and Gelato! 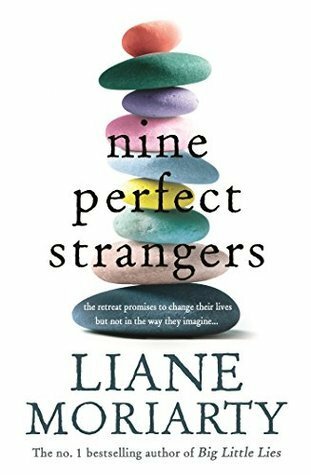 I recently read Nine Perfect Strangers...It isn't her best but I'm curious to what you would think. Happy Reading! I read 'the loneliest girl...' I thought it was great although I find the sudden twist just too sudden but it's probably me but I did enjoy the book. I read Watching You a few months ago. It wasn`t spectacular, but it was quite entertaining. Both Polaris and Watcher in the Woods are on my highly anticipated list for the new year! There are quite a few here that I'd really like to read as well, especially Uncharted and Nine Perfect Strangers. I hope you have a chance to read all of these! 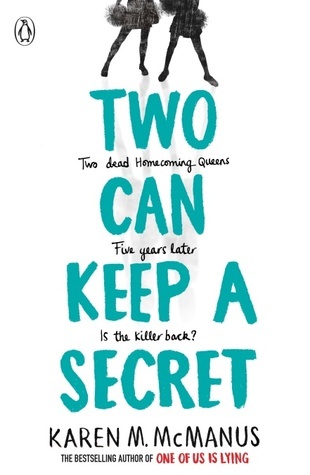 I hope I can get a copy of Two Can Keep a Secret, because I am such of fan of McManus' debut. 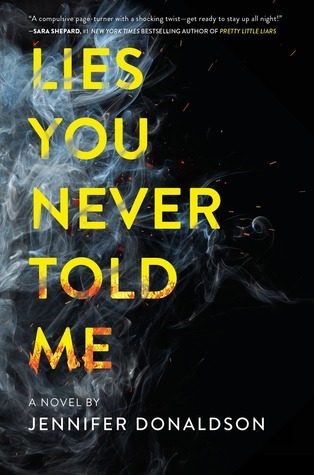 I won a copy of Lies You Never Told Me, and keep thinking about reading it. I sounds really good. I really need to commit to it. The Loneliest Girl in the Universe was so, so good! Uncharted made my list this week, too. READ Loneliest Girl because it is fabulous. Two Can Keep a Secret looks good too of course. I feel like I own Lies You Never Told Me, if you do read it let me know, I will too! I am surprised you haven't read the new Liane Moriarty book yet! Uncharted looks good, as does Polaris Rising, Watching You, and The Gone World. OH and tomorrow you can read Love & Luck for free on Riveted Lit! 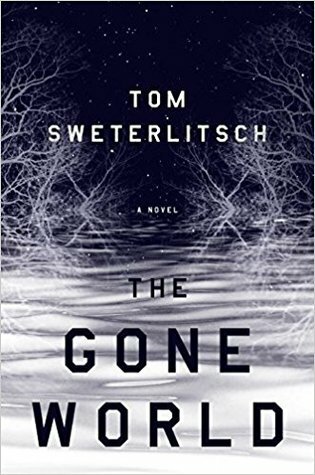 Watcher in the Woods and The Gone World both sound right up my alley! I hope you enjoy all of these! But for real--great picks. 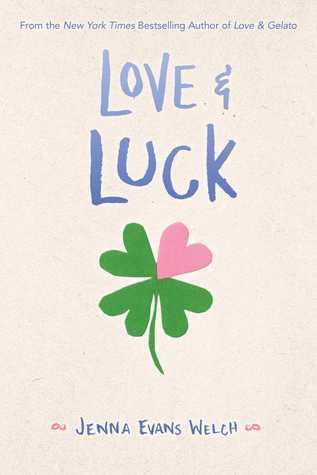 I'm curious to know what you think of Love & Luck once you read it! Somehow even just the cover of Watching You looks creepy. Pretty but creepy. I see "Watcher in the Woods" and Lies "You Never Told Me" on a lot of lists this week. Are they new releases? I've spotted that Lisa Jewell on a couple of other blog TBRs too. I prophesise that it's going to be popular!! I've also had my eye on Love & Luck for awhile now! Hope you enjoy all of these!! The Moriarty and the Jewell books are both calling my name. I finally got around to reading both these authors this past year and really loved them both. I've been so curious about Love & Luck, I need to read that one! And I have Loneliest Girl in the Universe!! Lately I haven't been in the mood for it, but it sounds so good. I hope you love them! 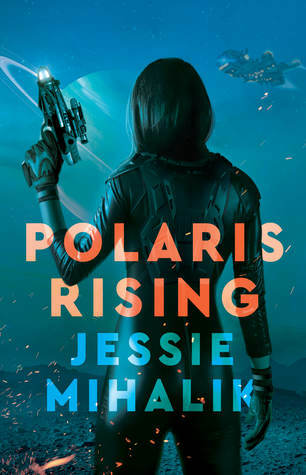 Polaris Rising looks like a really exciting read. I hope you end up enjoying and as well as all the other books on your list. Happy reading! I'm definitely excited for Watching You. And The Loneliest Girl in the Universe has been on my TBR for quite a while now. Hopefully we'll both enjoy them! 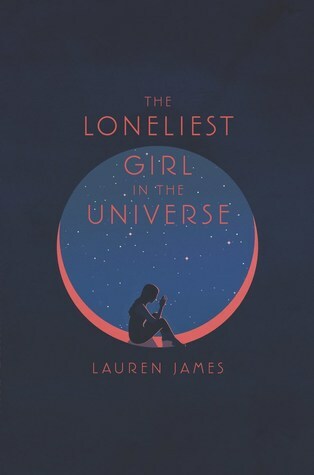 I've had The Loneliest Girl in the Universe on hold for quite a while, I'm really looking forward to reading it! I hope it goes well for both of us. Awesome list! I cannot wait to get my hands on Watching You!